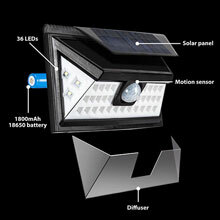 36 LED with unique wide angle design, outdoor solar light which create a wider range of luminosity. The maximum lighting angle can reach 270 degrees. Please mount in the direct sunshine. 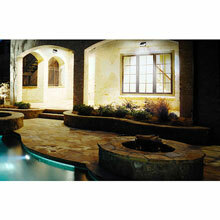 Motion sensor light installed with sensitive sensor ballhead. 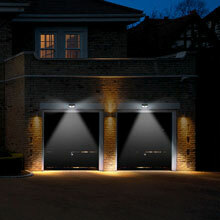 The recommended install height is 5.6-6.6 feet; it can detect motion up to 10-26 feet away at a 120 degree angle. 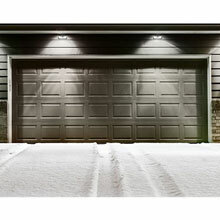 This solar power motion light automatically turns on when it senses the motion of someone driving to your house or walking to your door. 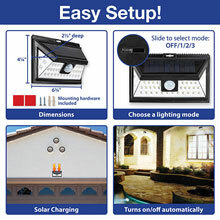 Simple Installation This solar motion sensor light can be mounted on the wall in seconds, no cable or wire necessary. 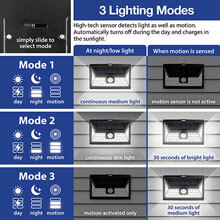 Three optional modes choose the perfect mode according to your diverse needs, medium light mode, dim light sensor light mode and sensor mode. Choose the most appropriate mode for your needs and desires. 6¾" wide, 2" deep, 4" high. 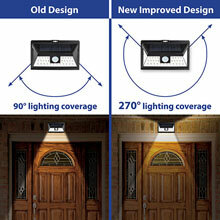 •SUPER BRIGHT: 48 LED unique wide angle design offers a larger coverage of luminosity. The corner LEDs put out enough extra light to really make the solar light very efficient as a whole. •MOTION SENSOR DETECTOR: Enhances PIR sensor detects people up to 26 feet within an angle of 120 agrees. •THREE OPTIONAL MODES: Choose the perfect mode according to your own needs. 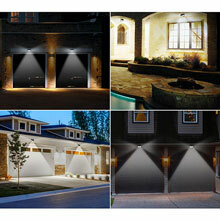 Auto on at dusk and off at sunrise, dim and bright when motion detected or off and bright when motion detected. 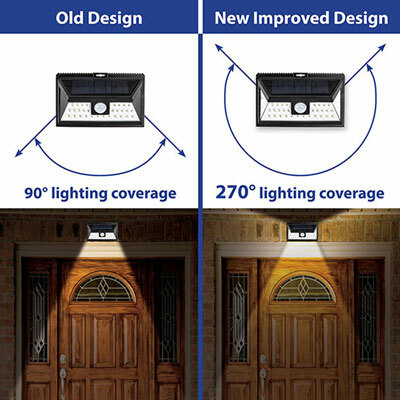 •SECURITY: Great outdoor security night light let you know when an animal or individual is nearby, perfect for wall, patio, garden, porch, lawn, pathway, or gutter. It's specifically designed to withstand extreme weather conditions. 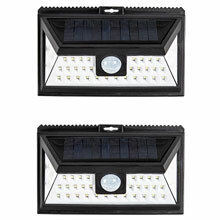 •HIGH EFFICIENCY SOLAR PANEL: This light works automatically without electricity as the solar panel absorbs the sun rays and generates power for the light. Our solar panel of monocrystalline silicon converts up to 19% of the sunlight into electricity energy which ensure long lasting standby time.